When people think of the Neolithic era, they often think of Stonehenge, the iconic image of this early time. 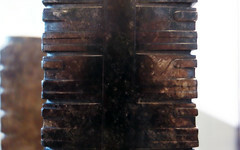 Dating to approximately 3000 B.C.E. and set on Salisbury Plain in England, it is a structure larger and more complex than anything built before it in Europe. Stonehenge is an example of the cultural advances brought about by the Neolithic revolution—the most important development in human history. The way we live today, settled in homes, close to other people in towns and cities, protected by laws, eating food grown on farms, and with leisure time to learn, explore and invent is all a result of the Neolithic revolution, which occurred approximately 11,500-5,000 years ago. The revolution which led to our way of life was the development of the technology needed to plant and harvest crops and to domesticate animals. Before the Neolithic revolution, it’s likely you would have lived with your extended family as a nomad, never staying anywhere for more than a few months, always living in temporary shelters, always searching for food and never owning anything you couldn’t easily pack in a pocket or a sack. The change to the Neolithic way of life was huge and led to many of the pleasures (lots of food, friends and a comfortable home) that we still enjoy today. The massive changes in the way people lived also changed the types of art they made. Neolithic sculpture became bigger, in part, because people didn’t have to carry it around anymore; pottery became more widespread and was used to store food harvested from farms. Alcohol was first produced during this period and architecture, as well as its interior and exterior decoration, first appears. In short, people settled down and began to live in one place, year after year. 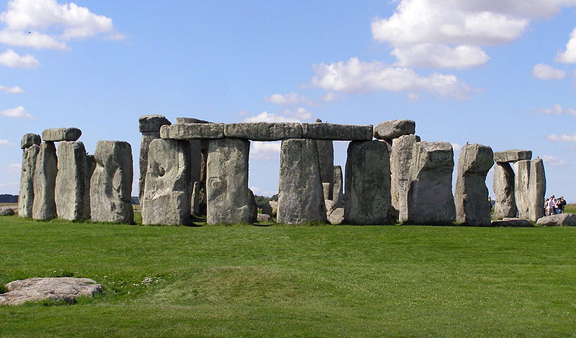 It seems very unlikely that Stonehenge could have been made by earlier, Paleolithic, nomads. It would have been a waste to invest so much time and energy building a monument in a place to which they might never return or might only return infrequently. After all, the effort to build it was extraordinary. Stonehenge is approximately 320 feet in circumference and the stones which compose the outer ring weigh as much as 50 tons; the small stones, weighing as much as 6 tons, were quarried from as far away as 450 miles. The use or meaning of Stonehenge is not clear, but the design, planning and execution could have only been carried out by a culture in which authority was unquestioned. Here is a culture that was able to rally hundreds of people to perform very hard work for extended periods of time. This is another characteristic of the Neolithic era. The Neolithic period is also important because it is when we first find good evidence for religious practice, a perpetual inspiration for the fine arts. 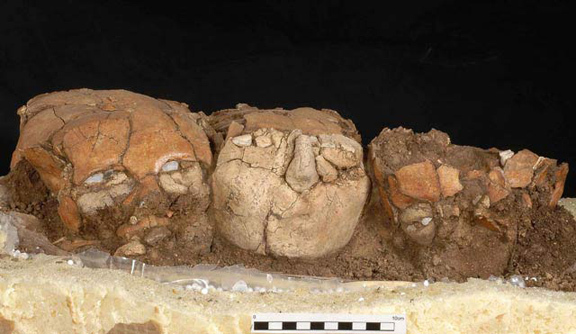 Perhaps most fascinating are the plaster skulls found around the area of the Levant, at six sites, including Jericho. At this time in the Neolithic, c. 7000-6,000 B.C.E., people were often buried under the floors of homes, and in some cases their skulls were removed and covered with plaster in order to create very life-like faces, complete with shells inset for eyes and paint to imitate hair and mustaches. The traditional interpretation of these the skulls has been that they offered a means of preserving and worshiping male ancestors. However, recent research has shown that among the sixty-one plastered skulls that have been found, there is a generous number that come from the bodies of women and children. Perhaps the skulls are not so much religious objects but rather powerful images made to aid in mourning lost loved ones. Neolithic peoples didn’t have written language, so we may never know what their creators intended. (The earliest example of writing develops in Sumer in Mesopotamia in the late 4th millennium B.C.E. However, there are scholars that believe that earlier proto-writing developed during the Neolithic period). Cite this page as: Dr. Senta German, "The Neolithic revolution," in Smarthistory, June 8, 2018, accessed April 22, 2019, https://smarthistory.org/the-neolithic-revolution/.